We in Esker and the Esker Youth Ministry Team want to wish Lizzie Harrison well, as she leaves her role here in Esker, for pastures new. We will miss her greatly, as she has put great energy and creativity into her role as Youth Ministry Co-ordinator, over these past two years. 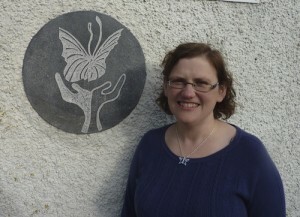 During that time, she worked on developing the various retreats and programmes, also in running Meitheal, a Leadership programme, and the monthly Family Mass in Esker Church. God bless you, Lizzie, and Thanks a million for your commitment and faith and hard work. ← Cemetery Sunday in Esker, August 28th.